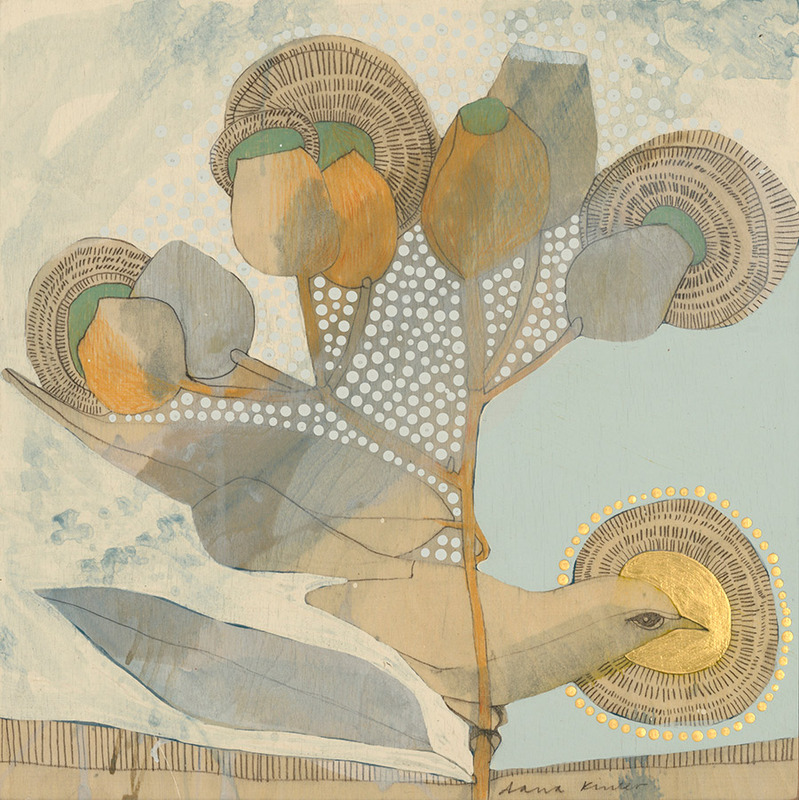 Inspired by early 20th century Australian and Indigenous art, religious iconography, Japanese culture, and everything Art Nouveau, Dana employs a subdued colour palette with emphasis on the natural characteristics of her materials. 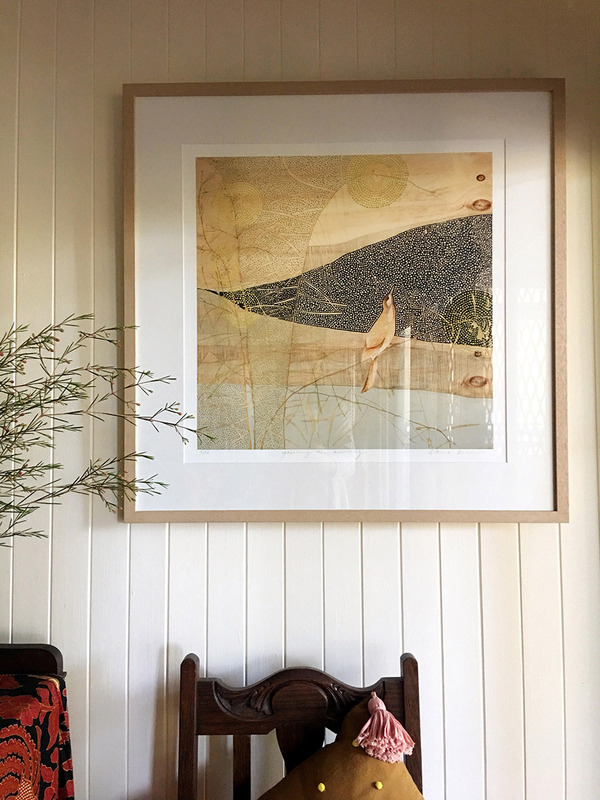 Dana uses pencil acrylic on timber in her paintings, preferring to work on a series of woodblocks at once, aided by foraged treasures and views from her backyard studio. 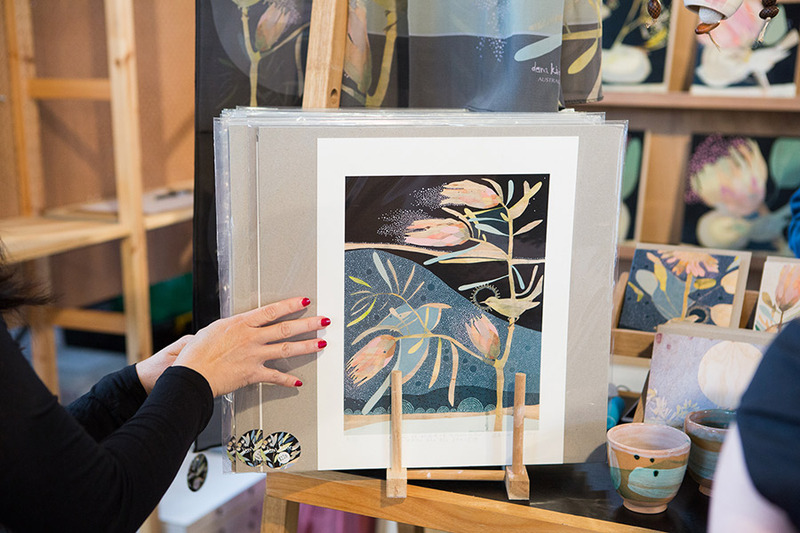 Recently, Dana has begun working with ceramics, carving and painting feathered friends with a distinctive focus on colour, line and form, onto hand built homewares that serve as a base for her artworks. Six years ago I left my job in a gallery to focus on my art, a scary decision but definitely the best. I have been very fortunate to have had some amazing women since that time encouraging me to do my first solo exhibition, my first big art/design market in Adelaide and an opportunity to collaborate with an Australian fashion label. My focus has been on exhibition work, specialised art/design markets and selling through my online shop. Social media is an important part of how I communicate with my audience and I really value the relationships we have created. Last year I embarked on broadening my audience and drove my van from Adelaide to my first Finders Keepers in Melbourne, it was wonderful and I haven’t looked back. This year I have been a part of Finders Keepers in Sydney and in a couple of weeks I will jet set off to one in Brisbane. What makes these markets special is the new and lasting friendships made with other makers, supporting each other to be the best we can and the audience, a special group of people that embrace all thing handmade and understand the love and dedication that goes into our makings. 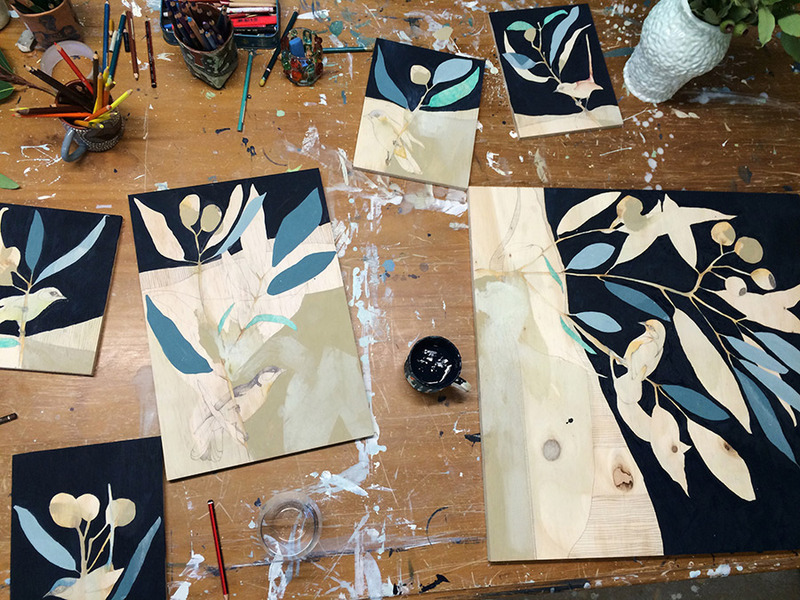 Talk us through a typical day in the life of Dana Kinter Art. 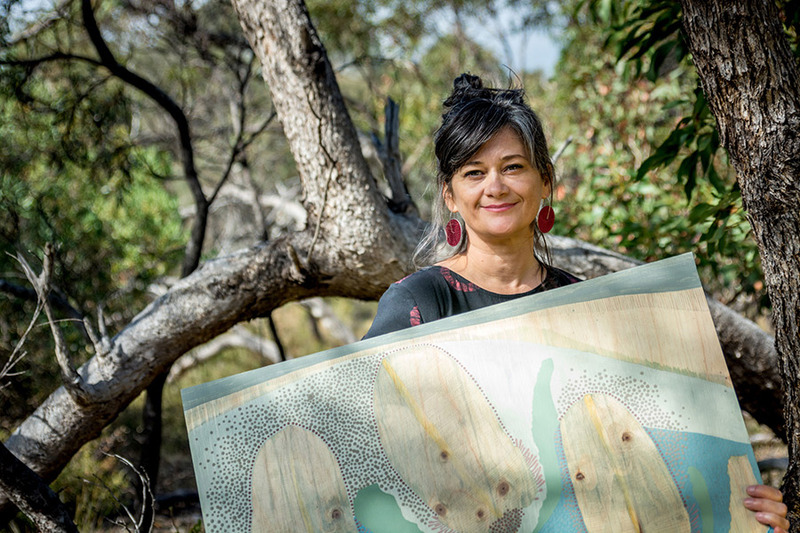 For most of my time I work quietly away painting with my 2 year old rescue pup Honey by my side in my home studio, a big shed surrounded by trees, on the Fleurieu Peninsula. Recently I have returned to ceramics and study one day a week in the city, I am always wanting to expand my practice and learn new skills, meet people and grow as an artist. Mornings are for computer and coffee, with a promise to Honey for a beach walk and wave chasing when we’re done, then afternoons spent in the studio painting or playing with clay. To embrace it, be super organised. And coffee. I am very grateful to live in such a beautiful place, a walk down my beach or some time in the garden is my perfect spot for some inspiration. 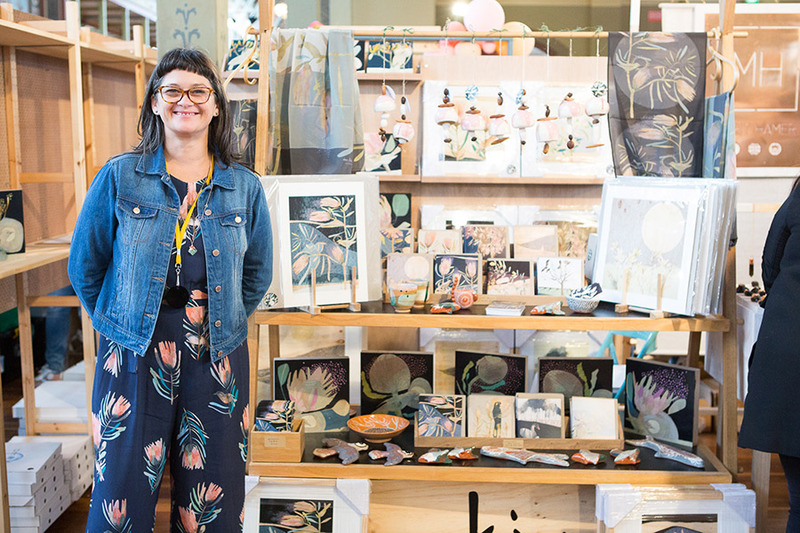 There are so many Finders Keepers designers I admire – Katherine Wheeler ceramics, Nanna Woo handmade, Linogirl Anna Scheen and Bridget Bodenham – but the team I admire the most is the Adelaide designers Katrina and Farley from Kitty Came Home. I love their products, and am in awe that between the two of them they hand-make each purse and wallet in their studio. 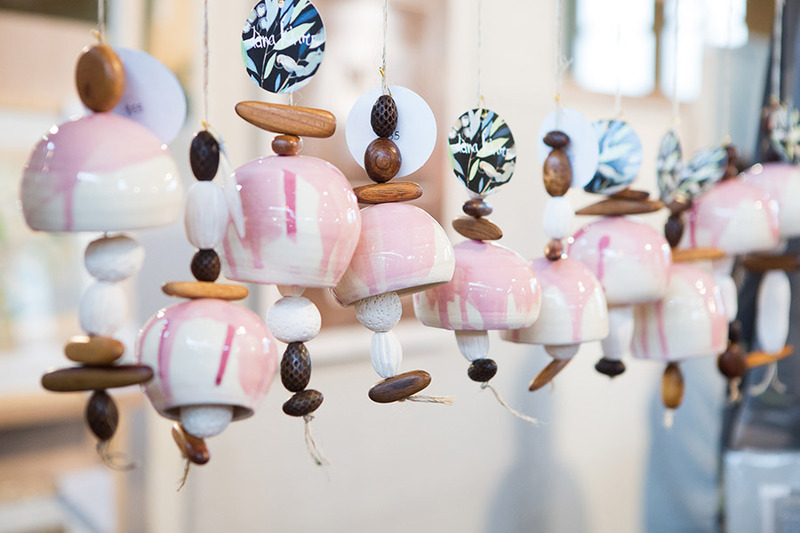 And the stalls they set up for Finders Keepers are always outstanding. 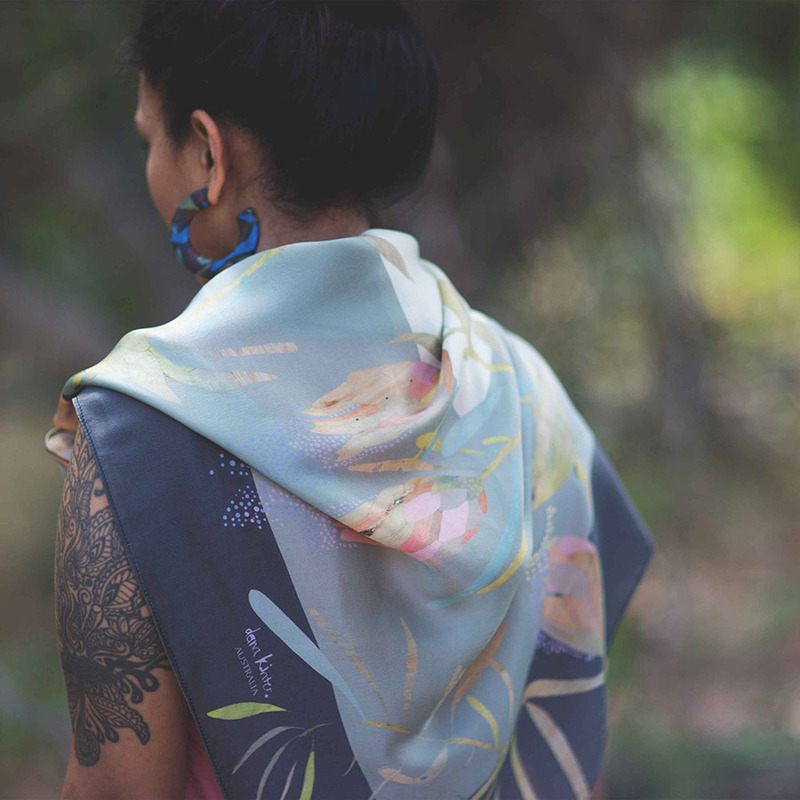 The most amazing thing that has happened to my art business has been the 2017 winter collaboration with Australian fashion label GORMAN. This was just such a fabulous experience, Lisa and her team were so encouraging and a dream to work with. The collection was beautiful and is such a great thrill you see someone walking down the street in a dana x gorman.